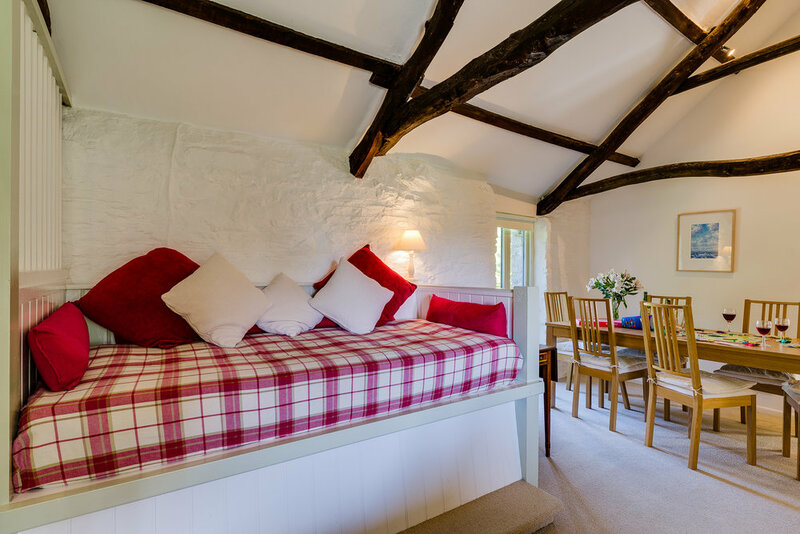 The largest of the five cottages, Lambs’ Barn offers three bedrooms and sleeps six. Lambs’ Barn is ideal for larger parties as it can be opened up via a soundproofed link door to Swallows next door (ref Trevadlock Manor Barns). The main living space is fitted out with kitchen, and dining area with sofas and seating set around the woodburninig stove. Beyond the kitchen is the twin bedded bedroom. 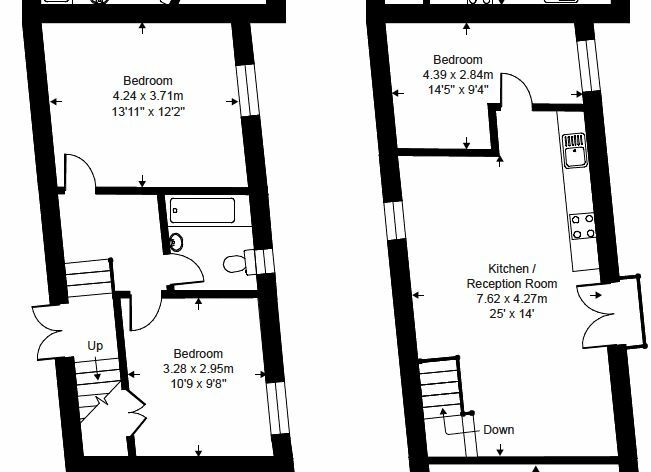 Downstairs there is a large double bedroom with a zip and link superking bed which can be made up as a twin or double bed. Next to this is the other double bedroom. Outside there are benches and a dining table providing a sunny space to enjoy an early morning coffee or an evening meal or barbecue. 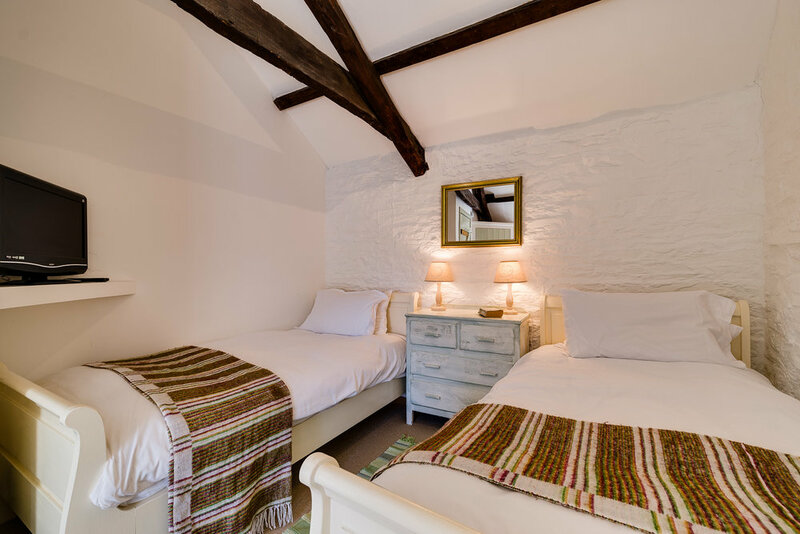 The two cottages can be interlinked upstairs and then the property sleeps ten in two double rooms and three twin rooms. Low season from £359 per week. Mid season from £599 per week. High Season £809 to £1089 per week.